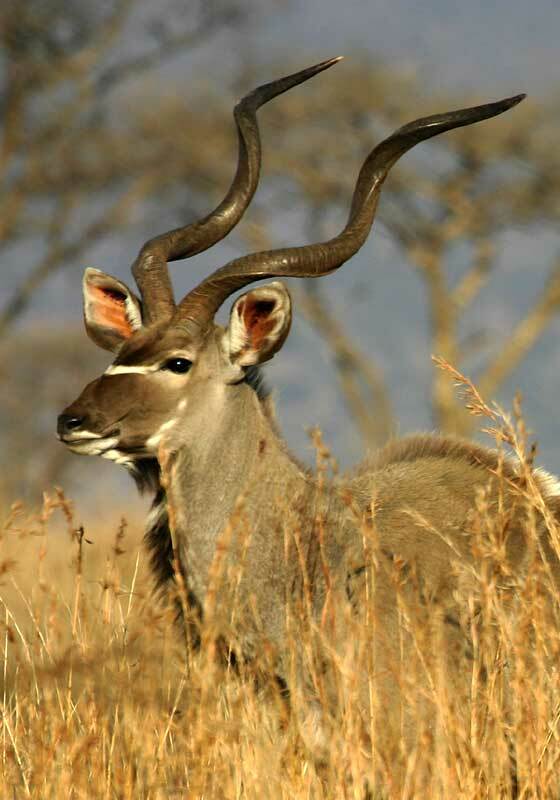 Caption: Kudu bull standing in tall winter grass showing the spiral horns, Weenen Game Reserve, South Africa. Photo: © Scotch Macaskill. Camera: Canon EOS Digital Rebel (300D); Lens: Canon EF 100-400mm f/4.5-5.6L IS USM zoom; Focal Length: 400mm; Shutter Speed: 1/800; Aperture: f/7.1; ISO: 200. Location: Weenen Game Reserve is a smallish (5,000 ha) nature reserve situated in South Africa's KwaZulu-Natal province.